Could you be our next Questie? We are on the hunt for our next Questie – Could it be you? A strong steady growth is naturally increasing for our clients within the IFSC and beyond. The ever-demanding need for the sourcing of top talent is as paramount as ever before, with the recruitment of Financial Services jobs in Ireland being a key tactic within our client’s company strategies. With this increased need for talent comes an increased need for recruitment consultants. Be prepared to take responsibility to make sure that your IFSC clients get a professional recruitment service. Desks we are currently growing are Funds Administration, Accounting & Finance and FinTech. Many of our expert account managers, consultants and recruiters come directly from the banking and financial sector themselves. This means we fully understand the industry and can offer robust knowledge and training as a result. 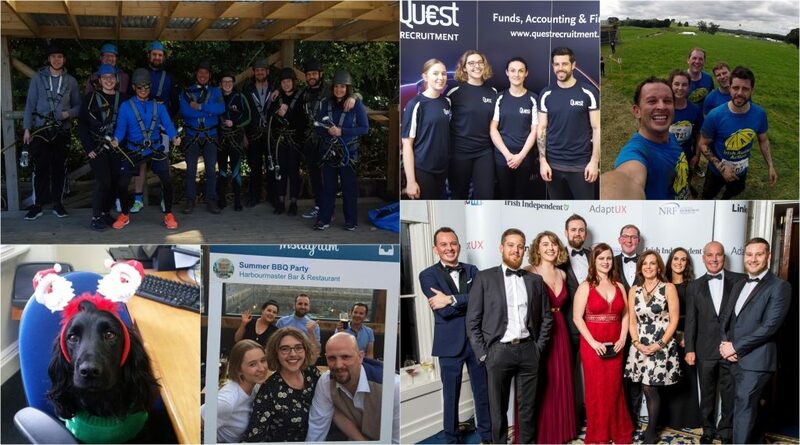 To find out what it is like to work here, why not take a look at our blog post “2018 At a Glance” where we recap what a great year 2018 was! If you know someone who would like to work in recruitment, we run a referral scheme which you can find out more about here.